I feel like Randall tonight. As the joy of the holidays (and college football season) recedes ever further in our metaphorical rear view mirror, the harsh reality of many more weeks of miserable cold, leaden skies, and filthy slush sinks in and gnaws at the soul. What is one to do to survive another interminable Michigan winter? Three guesses what I’m going to say. Oh, you only needed one guess! Very good. » Two special tapping events tonight to be aware of. Ashley’s, 338 S. State St., is serving Short’s Kind Ale and Bellaire Brown Ale through Randalls full of Cascade hops and cherries, respectively. Then, on the other end of the Diag, World of Beer, 1300 S. University Ave., is tapping a keg of Goose Island’s Bourbon County Stout. » Get over to the Tap Room, 201 W. Michigan Ave., Ypsilanti, for the annual Hopslam Poetry Slam, sponsored by Bell's. 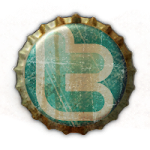 Enjoy everyone's favorite imperial IPA and listen to the area's hippest wordsmiths lay down some rhyme and reason. Read your own poems or just watch and sip. The best poet, as judged by a panel of so-and-sos including your humble correspondent, wins something or other. Event runs from 7-8 p.m.
» Whole Foods Cranbrook, 990 W. Eisenhower Pkwy., is hosting New Holland for the latest Michigan beer happy hour tap takeover from 5-7 p.m. Draft list TBD. » Meanwhile, World of Beer is having a bottle release party for Dogfish Head’s infamous 120 Minute IPA, a 15% ABV bitter bomb beloved by hopheads everywhere. 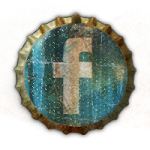 Follow WOB on Facebook for updates. 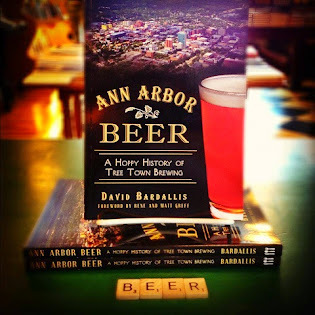 » Head up to Witch’s Hat, 601 S. Lafayette St., South Lyon, for the first of what will be monthly Beer Education Nights featuring Michigan Beer Guide editor and publisher Rex Halfpenny. For $30 you get beer samples along with a skull full of knowledge from the Great Beer State’s pre-eminent beer journalist. Each month will be a new topic, with classes taking place in the brewery the first Monday of every month. Follow Witch’s Hat on Facebook or visit witchshatbrewing.com for more info. » The Arbor Brewing Brewpub, 114 E. Washington St., is hosting a release party for Winter Warrior, a special ale brewed for the upcoming Winter Warriors outdoor beer drinking event on February 7 and in support of local charity. One dollar from the sale of every Winter Warrior will go to the Delonis Center and their mission to end homelessness in Washtenaw County. Release party runs from 6-7 p.m. and includes beer samples and light snacks; free for Mug Club members and $10 for the plebes. » Down the block at Grizzly Peak, 120 W. Washington St., it’s Brewer’s Night again from 6-9 p.m. Enjoy beer samples, a keg or cask of something special, and complimentary tours of the brewery. And plenty of beer geek talk, too, naturally. 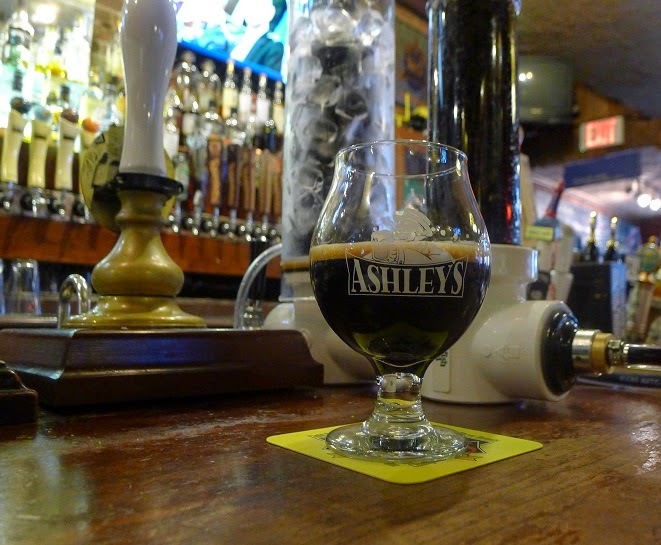 » Enter the CEO board room at Ashley’s, as they tap into five different varieties of Right Brain Brewery’s CEO Stout. In addition to the original, look for drafts of Imperial, Barrel Aged, Smoked, and Sour Mash CEO Stout. Tapping happens at 6 p.m.
» The first beer dinner of 2015 at Grange Kitchen & Bar, 118 W. Liberty St., kicks off at 6:30 p.m. Enjoy a five-course beer and food collaboration between Chef Brandon Johns and Patrick O’Rorke, beer ambassador for Dark Horse Brewing. Tickets are $60 per person (excluding tax and tip); call 734-995-2107 to reserve or buy online at grangekitchenandbar.com. Been to Sidetrack Bar & Grill, 56 E. Cross St.,Ypsilanti, lately? They just added 12 new taps to their existing 24, so you now have even MOAR beer choices. And don’t forget they fill growlers, too. Your correspondent strives to keep the political stuff to a minimum, because eff politics, but in this case I'd like to direct readers' attention to a lawsuit filed by the Mackinac Center against the Michigan Liquor Control Commission, which is essentially an anti-competitive, anti-consumer, legalized price-fixing entity that hoses consumers in the guise of "protecting" them. I support its abolition, being a crazy radical, but even if others see such a body as necessary, there is still no justification for the policy outlined in this open letter from economist Michael LaFaive.